Sleep is something that most people take for granted, but when elderly adults don’t get enough, it can cause lots of problems with their physical and mental health. There are many different things that can trigger aging adults from falling asleep or staying asleep. Family caregivers must look closely at the symptoms and then share their findings with a doctor. Only then can seniors hope to get treatment. The first step is for family caregivers to take their aging relative to the doctors for a checkup. They will determine whether there are untreated medical conditions that will benefit from oversight from a medical team. Then, they need to set out to control the aging adult’s sleep issues as much as can be expected. All these factors and more could play a role in aging adults being unable to get a restful night’s sleep and need repeated help all night long. One thing that family caregivers can do to help elderly adults with issues at night is to hire a night care assistant. This would be a professional who has experience in working with an aging adult for all kinds of issues. These elder care providers can be on hand ready to assist the aging relative, while the family caregiver’s sleep and get lots of physical and emotional rest. There are lots of things that elder care providers can do to get their aging family member to have better sleep at night. One thing is to limit the amount of sleep they get during the day. Shortening or eliminating naps can help with night sleeping. Other things they can do is to avoid caffeine in the afternoon and evening, lower the lights in the house just before bed and avoiding screens (TV, smartphone or tablet). Creating a comfortable sleep environment with clean bedding, comfortable pillows, and a pleasing room temperature can also help. Family caregivers strive to do their best in looking out for their elderly loved ones. They work hard to ensure the health and wellness of their relatives, and when it comes to getting a good night’s sleep, there are few things more important. Family caregivers should look into hiring elder care providers to do night care for their aging relative so that everyone involved has the best chance of healing, restorative sleep. 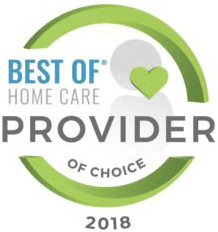 If you or an aging loved-one are considering hiring Caregivers in CT or RI, for companionship, transportation, or other elder care issues, please contact the caring staff at Care at Home – serving Connecticut and Rhode Island. Are Dry Eyes a Problem Your Mom Has?